So you’ve heard about the hype and you think you have what it takes to start an Instagram t-shirt business? Starting an Instagram t-shirt businessis fun, rewarding and a ton of hard work. Which is why we have done our best to break it down for you. We want to show you how you can leverage your business with Instagram and make more t-shirt sales than you ever thought was possible. The global fashion industry has developed immensely in recent years, making a shift from traditional brick-and-mortar stores to online distribution channels. Because, let’s face it, we all spend a huge amount of our day online. How often do you catch yourself going through online stores and looking for new clothes? I bet quite a lot. We all like to stand out a little. What if we want more than that though? What if, instead of searching hours for that perfect new shirt, we could just create it ourselves? Thankfully in our day and age, we have all the tools necessary to start our own Instagram t-shirt business. According to The Business of Fashion’s 2018 ‘State of Fashion’ report, 74% of all online sales will be generated from social media. That is a staggering amount and to add to that, the increase in online sales is only getting more as traditional shopping is becoming less and less relevant. Are the bells ringing yet? If not they should be! Basically, as humans we have become lazy and we want everything to be as quick and easy as possible because our lives are all super busy. Meaning there isn’t a better time to start your business than right now! If only there were more hours in a day right? But let’s get into it. We’ve crafted the ultimate 3 step guide to help you get underway and make your first t-shirt sale on Instagram. Of course, designing a shirt is the number one step so get your brain smoothie handy because creating a brand identity and a logo to match it, are two of the most important steps to creating a sustainable Instagram t-shirt business. Picking a niche for your brand will help define a clear and relevant target market to sell your t-shirts to. Next is creating a logo that speaks to your target audience. Before you design a logo though, we recommend you read about what branding is and how it could benefit your business in the long run. Designing a logo with a brand identity behind it will help give it more meaning in a saturated market. There are tons of free logos available online but be careful not to use a logo that has already been used. People could confuse your brand with another or even worse you could find yourself in legal trouble. That’s the last thing you want for your new business. You can design a free logo using our logo template available on Desygner. This allows you to add that personal touch giving people a unique and fresh look they’ve never seen before. You can customize the color, shape, size and type all within Desygner to represent your brand the best. Remember first impressions last, so create something simple and memorable for customers to remember your brand by and recognize the next time they see it. Once you’ve got a strong brand and an epic new logo all you need is a t-shirt to print it on. Getting the best t-shirt manufacturer for your brand is absolutely critical and possibly one of the most important steps. 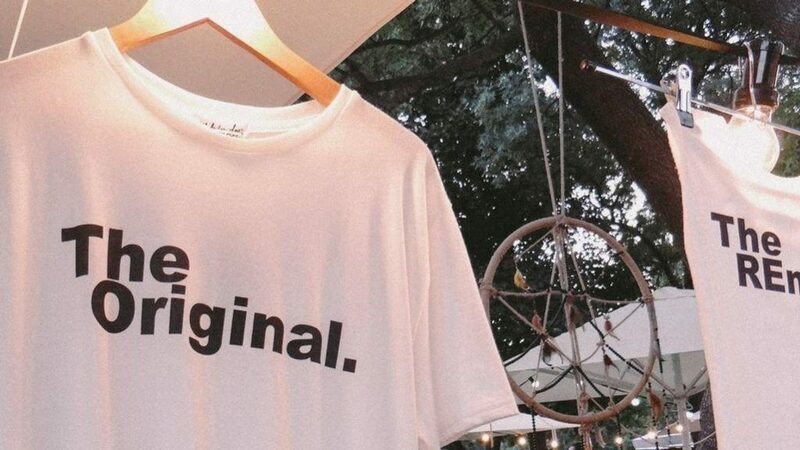 When it comes down to it, your Instagram t-shirt business will need to have high-quality designs on high-quality shirts to ensure that customers will buy more than once ensuring a sustainable and successful business. This is the exciting part. You finally get to see your designs come to life! Samples, samples and yep… probably more samples. We cannot stress this enough, quality is king so getting samples from each manufacturer to test both the t-shirt (size, fit, colors) and also the logo printing is essential. Getting it right from the start will mean good first impressions and returning customers. And make sure you ask your manufacturer what type of printing options they have available and what it looks like so you can ensure the highest quality before your customer sees it. 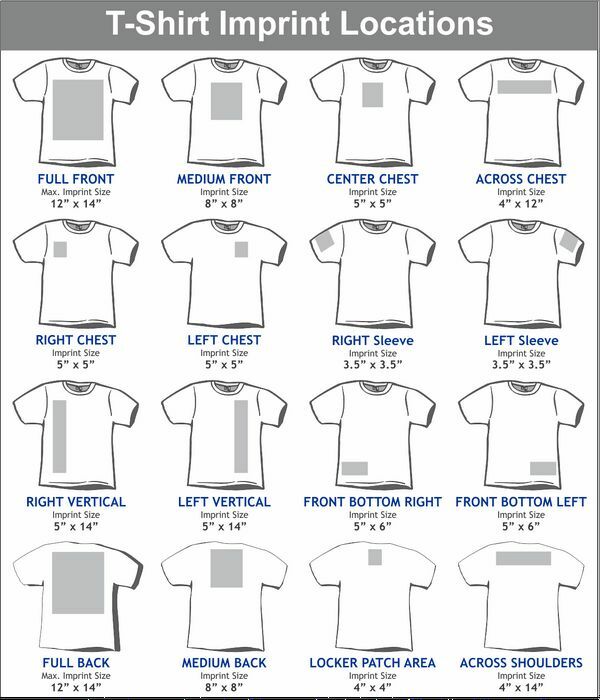 Manufacturers often ask for mockups of the t-shirts and where the logos need to be placed and how big. On Desygner, you can make quick mockups by adding blank shirts and your logo on top to give manufacturers a better understanding of what your vision is. Here you can easily resize and add text to give more details. Communication is essential here, so ensure they are clear as to exactly what you want. Finally, compare the costs and quality and decide on the best manufacturer for your Instagram t-shirt business. Now that you’ve completed the ‘behind the scenes’ work and you are ready to start selling, you need to set up an e-commerce store. There are plenty of options and you can even design a website yourself if you’re a coding whiz. But like most of us, coding might as well be an alien language and building an entire website from scratch can take a lot longer than it seems. Luckily for you, the good people at Shopify have developed some amazing e-store templates to get you kicked off and selling within a few hours. They even offer a 14-day free trial which should be plenty of time to upload your product photos and start selling right away. After your trial, you’ll have to pick one of their packages to keep running your website. Sorry guys, not all good things are free. But, for the convenience, ease of use and service, we highly recommend using Shopify to kick-start your new Instagram t-shirt business. The best part about Shopify? 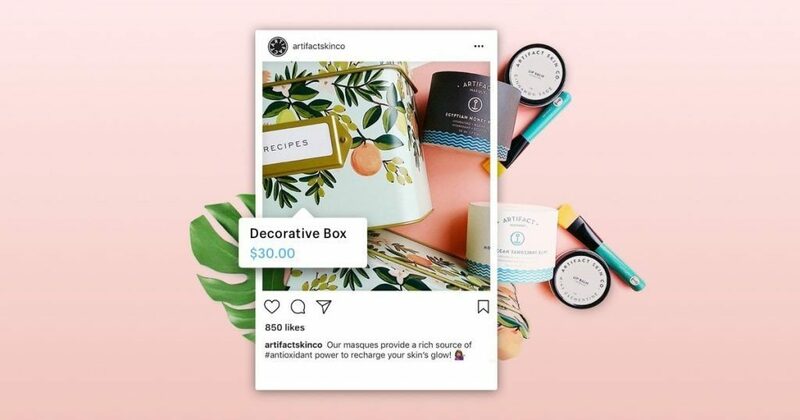 They have app integration that allows you to link all of your social media platforms seamlessly to allow customers to shop from right within your Instagram post. That brings us to our final step before you start selling..
To actually launch your Instagram t-shirt business and start processing sales via your social media platforms, you need to be on the basic plan that Shopify offers (only $29 a month). The basic plan allows you to integrate your Instagram business page into Shopify. This allows customers to buy straight in the Instagram and Facebook apps when they see your product! Hopefully, because you’re reading this, you have already thought about using social media to create awareness for your brand. Setting up a Facebook business page and then linking your Instagram to your business page is a super effective way to cross promote your brand to your audience. There are over 2.2 million active Facebook users and 800 million monthly users on Instagram. Need we say more. The attention is there. Once you have your Facebook and Instagram business profiles linked you can add them to your Shopify store with their app integration feature. This will allow you to not only showcase your products on your Instagram but also create a small shop icon within the photo. This allows users to be able to click on, view the price and buy directly through tapping on the product, rather than having to go through separate links. Or worse, telling them to go type it in themselves. Having quickly accessible shopping features built in directly to your post will leverage your Instagram t-shirt business in our digital age. And of course, it goes without saying that consistency is key. So keep posting high quality and relevant photos to your Instagram. Also, add those new shop tags on your products to generate the highest engagement and more sales rolling in right away. If you’re having trouble coming up with content or making professional looking Instagram posts, Desygner offers free Instagram post templates with thousands of free stock images. You can use these to showcase your brand and products and even add custom text over the top.